By Julien Rio, Head of Marketing at Dimelo, a RingCentral Company… As 2018 comes to a close, it’s time to reflect upon this year’s Customer Care industry highlights, and to think about what’s expected to happen next year. To help you plan for 2019, we report on six major trends that are set to shake up the industry. The growth of business messaging platforms was part of our predictions last year. In 2019 we expect the use of messaging in Customer Care to increase even further. 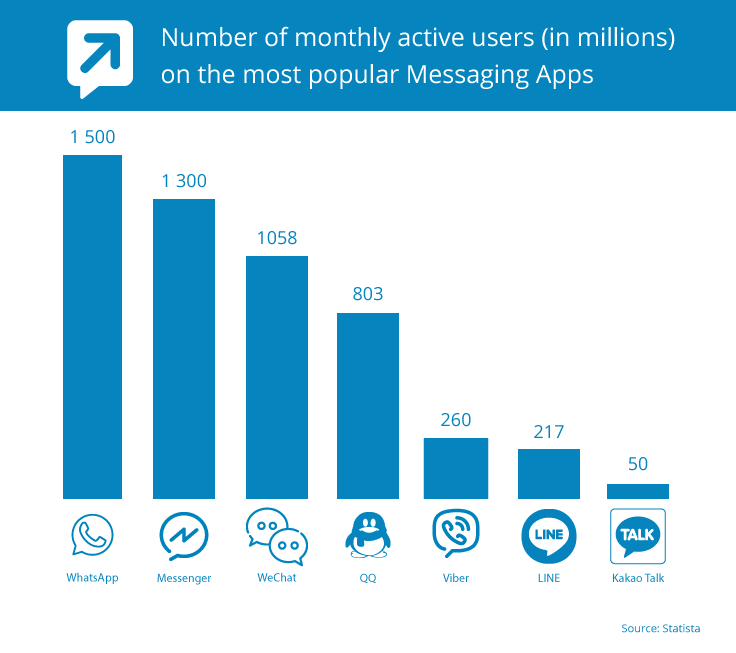 The growing number of customers using messenger platforms (1.5 billion on WhatsApp and 1.3 billion on Messenger – Statista) and the rollout of business apps, will encourage companies to adopt this means of communication. One of the key announcements made this year was the launch of Apple Business Chat, which enables customers to talk to businesses via the Messages App. With its particular focus on privacy and integration into Apple’s ecosystem, this new feature empowers companies to connect with customers on a much more personal level. Another expected 2018 launch was WhatsApp for Businesses. This year WhatsApp rolled out its dedicated version for SMBs, allowing companies to manage customer interactions on a smaller scale. The next step will be the launch of its Enterprise API, allowing large companies to manage much more significant volumes of interactions on this hugely popular messaging app. In addition to these external channels, including the opportunity to reduce dependency on GAFA (Google, Apple, Facebook, Amazon), a number of companies are also implementing in-app messaging strategies. Among the advantages of this approach is the ability to identify customers, thereby offering a smoother experience, by avoiding redirections outside of the app. Adding more features in-app helps to increase customer retention. In the world of messaging, some Asian territories (examples include WeChat in China, LINE in Japan, KakaoTalk in South Korea) are a few years ahead of the world. A significant trend identified is the use of voice within messaging apps (often compared to a “modern-day walkie-talkie”). As part of text-based conversations, users are sometimes using voice messages when it’s more convenient e.g. whilst walking around streets. This trend is just starting to emerge in other parts of the world, especially amongst younger generations. Today approximately 200 million voice messages are sent every day on WhatsApp and we can expect this number to increase even further. In a recent article entitled “Phone Calls Are Dead. Voice Chat Is the Future.”, The Wall Street Journal focused on this trend, and outlined that it’s “faster than a phone call, warmer and more human than a text message”. This new usage raises some new questions for contact centres: how can agents manage both text and voice messages? Should they respond by using either voice or text? How to analyse the content of voice messages? As this usage is growing in personal communications, companies should anticipate the impact of their interactions with customers. To adapt to the growth of messaging as well as other digital channels, SaaS solutions in the Cloud has become essential for managing customer services. To adapt to evolving technologies and interconnect various tools, SaaS is more relevant and flexible than on-premise systems. For large companies with contact centres worldwide, or relying on Business Process Outsourcing (BPO), relying on SaaS tools allows for much faster, efficient and scalable deployment. 77% of enterprises have at least one application, or a significant portion of their enterprise computing infrastructure based in the cloud. Among the benefits perceived, a greater flexibility to react to changing market conditions, and more speed for IT service delivery. A sign of this evolution is that the use of SaaS has become more general in the banking sector. This particular vertical had been previously reluctant to move from on-site premises to SaaS, because of various perceived barriers to entry, such as a lack of data security, and more difficulty around its maintenance. The evolution of cloud technology, and its exploration by banks, has pushed this industry to overcome these aforementioned perceived barriers, to move more aggressively to utilise cloud based solutions. According to the IDC, banking was one of the top three global industries which was investing the most in cloud infrastructures in 2018. Companies are becoming aware that SaaS is an essential part of their digital transformation. The issues isn’t whether to adopt SaaS, but when to do so. We’ve all been hearing about digital transformation for a fair few years now, but this strategic challenge is still an ongoing directive for many organisations. 89% of enterprises have plans to adopt, or have already adopted a digital-first business strategy. The major evolution is that it’s not just a side project, but a fundamental change impacting the whole company. To be successful, digital transformation has to be present in every department of the company. The Customer Care department is the frontline of companies, and arguably the most visible part of digital transformation. If companies are seeking to ‘digitalise’ their image, it’s advisable they start with the relationship aspects of their business, in order to offer the most outstanding customer experiences possible. Digital channels have demonstrated incredible growth in the Customer Service industry. From a customer perspective, this evolution has many benefits: customers aren’t as dependent on office opening hours, and they get quicker answers across channels which they use everyday. For companies, this transition also has a number of benefits including easier management of activity and peaks, and the ability to build more personal relationships. As companies become more aware of the strategic role and benefits of digital channels, we’re now clearly seeing contact centres gaining much more central roles, making them equally as important as call centres. There has been a major focus and excitement around chatbots since 2016, pushed by their development on Messenger for Business and other channels such as live chat. It’s safe to say that 2016 and 2017 were a discovery phase for chatbots, with a lot of buzz and some disappointments. In 2018 the market became more aware of their limits and real potential. This year, companies experimented with them, and started implementing relevant experiences for customers. 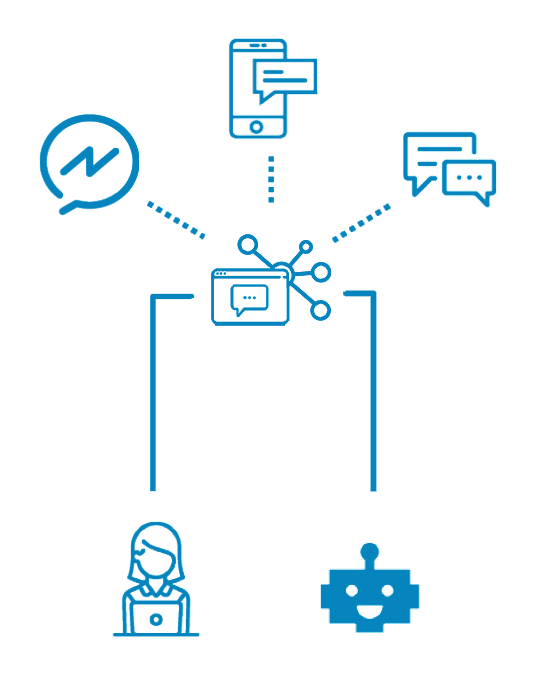 After this test phase, we predict that 2019 will be a year of maturity for chatbots. Experts and vendors from across the chatbots industry commonly agree on the technology’s limitations, and that it cannot fully replace a human being. Now that companies are fully aware of these limitations, more finely nuanced chatbots strategies can be implemented on more specific perimeters. Experience shows that the keys to success are to dedicate chatbots to simple and specific requests. A seamless handover to human agents is essential to ensure that customers can always have an answer to their specific and sometimes unique questions. With this approach, customer service representatives can reduce their workload and dedicate more time to added value tasks. By implementing this strategy, companies will be able to activate much more relevant and smoother experiences with chatbots. Customers as well as agents will be able to enjoy their benefits, for a better overall experience. UCaaS (Unified Communication as a Service) is a cloud-based business communications system, deployed across multiple channels and devices. It combines telephone services, video conferencing, team messaging, SMS and other communication tools, on a single integrated cloud platform. CCaaS (Contact Center as a Service) is also a cloud-based solution, enabling companies to centralise the management of all their customer service channels: phone calls, advanced interactive voice response (IVR), email, messaging, chat and social media. UCaaS is used for internal communications, and CCaaS is dedicated to customer interactions. Historically, both standalone legacy systems used to be premises-based, with each operating in distinct silos, making it impossible to integrate them. Now that these two systems have moved to the cloud, their integration now becomes possible, thereby helping to significantly enhance customer communications. Whilst answering customers queries, agents often need to obtain information from different departments. By using the same system for both US and CC, the right data can be accessed more quickly and efficiently, ideally whilst still engaging with customers in real-time. This empowers agents to be more responsive, contributing to a better customer experience and increased satisfaction. This integration will become a necessary step for all businesses wishing to be more customer-centric. What about Alexa & Google Home? These voice technologies have been a major trend and discussion point over the last few years. It’s reported that by 2021 1.8 billion people will be using digital assistants such as Alexa and Google Home. In the coming months, we’ll hear a lot about these new technologies and their applications. By being present in smartphones and smart home devices, their use will grow significantly in consumers’ lives. However, their use at the moment is for specific purposes such as receiving news, checking the weather and controlling music or video content. So there will be a strong focus on these technologies in 2019, but it is still too early to see any application for customer care. The coming new year is full of opportunity for forward thinking organisations wishing to keep up with demanding customer expectations, and a need to differentiate from the competition. By exploring and integrating some or all of these trends, such as a 360 digital channel strategy, organisations can expect to look forward to increased customer satisfaction and retention figures. Now that companies are aware of this central role of Customer Care for a successful Digital Transformation, the next step will be the integration of UCaaS (Unified Communications as a Service) and CCaaS (Contact Center As A Service) together to take the customer service culture to the next level. Julien has more than 10 years’ international experience in Marketing and Customer Care positions across multiple industries including toys, medical, hospitality, F&B, logistics, electronics, etc. As Head of Marketing of Dimelo Julien strives for improving customer care worldwide and closing the gap between what companies have to offer and what customers expect. 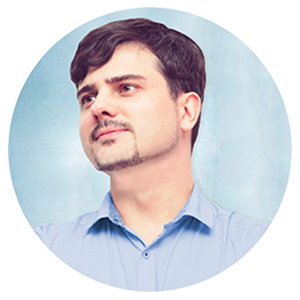 Author and blogger, Julien regularly writes about customer experience and marketing topics.